Daycare is a great way to keep your dog socialized with other dogs and people. We provide 3 unique spacious parks to ensure that your dog is placed with the appropriate playmates. our small and large parks have outdoor play areas so they can enjoy both indoor and outdoor activities. The dogs are under constant supervision from 6.30am to 8.30pm and enjoy playing with our staff and furry friends. Monday to Friday - a $5 late fee will apply every 15 minutes passed 6:30 pm until 7pm, after 7pm your dog will be boarded. Saturday & Sunday - a $5 late fee will apply every 15 minutes passed 5:00 pm until 5:30pm, after 5:30pm your dog will be boarded. **If daycare exceeds 5 hours the full daycare rate of $22 will apply. Dogs who board with us enjoy their days in the parks with our staff and other boarding/daycare dogs. The dogs go for meal time for 1 1/2 hours twice a day, once at 8:30 am and once at 5:30 pm. We give the dogs a longer feeding time to prevent against bloat and them getting an upset stomach. The dogs are put in their individual kennel or room at 8:30 pm for a good nights rest when they'll rejoin the fun at 6:30 am! Every cat who boards with us enjoys his or her own spacious kitty condo. Your cat will also be provided roaming and playtime during the day. Litter boxes are cleaned and cats are fed twice daily. 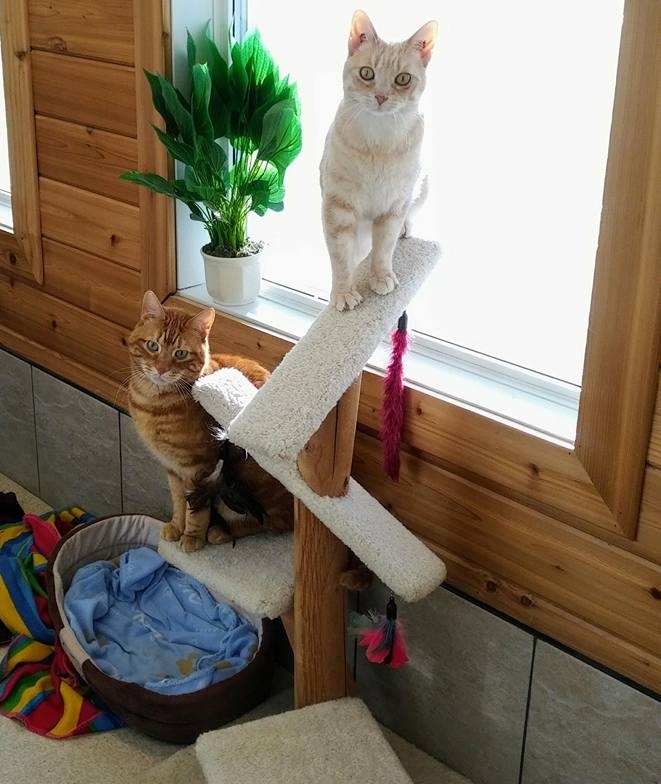 An amazing view and tranquil experience make our kitty condo's an easy choice for your cats stay.